Food and Forests policies for the protection, the valuation and the promotion of Mozzarella di Bufflonne DOP from Campanie. following a well-known and outstanding know-how. The rules for production only allow the use of whole milk from buffalo, apart from rennet and salt. 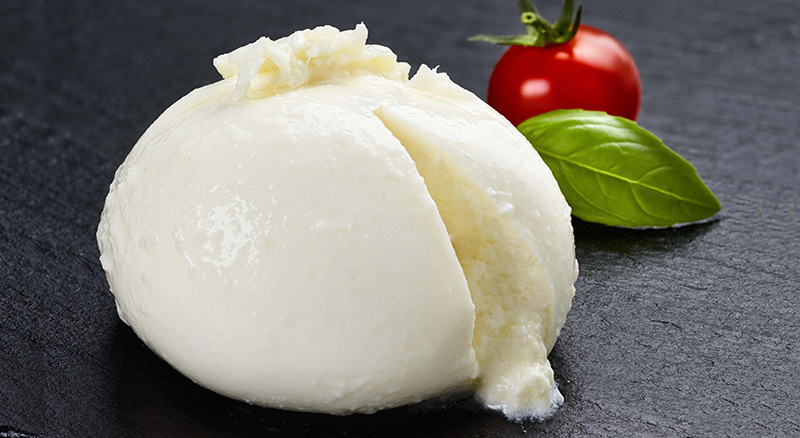 About 4 liters are necessary to obtain 1kg of mozzarella. This is the reason why the product has to go through numerous controls, from the rearing of buffalos to the moment we sell the product to the consumer. Indeed, only the dairies which successfully pass the hard process of certification can obtain the DOP label (designation of protected origin). Mozzarellas will become a large consumer good only in the end of 18th century, especially due to the installation of a wide rearing of buffalos by the House Bourbons, including an experimental dairy for the transformation of milk itself, on the site of Reggia di Carditello, the royal palace of the province of Caserte of the spanish dynasty. Burrata, what is it? Where does it come from? Invented in the beginning of the 20th century in the countryside in the North of Bari, in the Pouilles, burrata has quickly become a cheese tradition in the whole southern Italy. 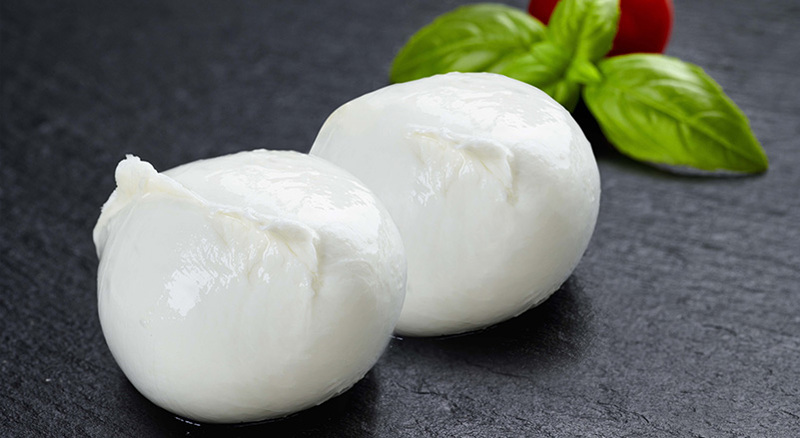 The legend tells that a cheese producer Bianchini (which no longer exists) had the idea to use the rest of the pieces of mozzarella, mixing them with cream. Today, it is his native land of the Pouilles which remains on top for its quality, starting with the care brought to cows feeding, often enriched with bran and fodder to add even more flavor to the meat and the milk. This is a fresh cheese made of cow milk with pasta filata outside, like the one of mozzarella, and of stracciatella inside, that is to say small pieces of mozzarella « stracciati, » shredded, and of cream; when we cut it, anyone can enjoy its smoothness. An envelop of pasta filata with a smooth heart: a true concentrate of happiness in the plate!